Tusubira - We Have Hope makes possible a new chapter for 71 kids who now proudly call themselves students in a village where extreme poverty is a norm. Our first nonprofit community high school called YANA has successfully completed its 1st term with exams. It's even further out of reach when your only parent toils to make $1 a day. And so the cycle of poverty persists as you remain home to take responsibility for the tasks of basic survival; carrying drinking water a long distance, gathering firewood to cook, caring for the sick, washing your only clothes by hand (you have no shoes), and toiling in the field for the one meal your family will eat that day. At Tusubira - We Have Hope, We believe every youth deserves an opportunity to thrive, to become a contributing member of a healthy productive community, and to be free from extreme poverty. 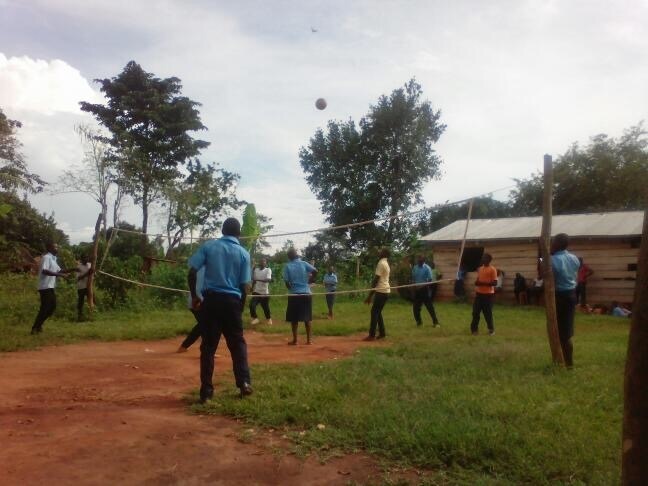 Since 2010, Tusubira has been slowly empowering orphans and youth who are experiencing extreme poverty through our scholarship program which has supported secondary school, vocational training and university level education. The face of our program is now represented by former Tusubira scholarship recipients who are taking the lead in Nawanende Village. These youth, formally with little hope, are now doing the work to provide hope to others in their village. This year, we took a big leap to spread hope further and faster, affecting a wider swath of the community by supporting the opening of the village's very first nonprofit secondary school. Seventy-one students, 36 girls and 35 boys, have just successfully completed their first term at YANA Community school. The name of the school, chosen by the community members at large stands for "You Are Never Alone". YANA is off and running with a modest but successful beginning, and teachers have made the sacrifice and initial commitment to accept reduced salaries in order to bring the opportunity of education to vulnerable children in their community. We are excited to announce that Tusubira - We Have Hope has been approved by the Seattle Foundation GiveBig Campaign and they will match your donation dollar for dollar. If you make your pledge today, your transaction will be processed on May 10th. If you've thought about supporting our work before, NOW is the time to do it when your dollars are doubled. The sky is the limit! Won't you join us in lighting the fire of hope through education? We hope that you will. Get e-mail updates from Tusubira - We Have Hope.